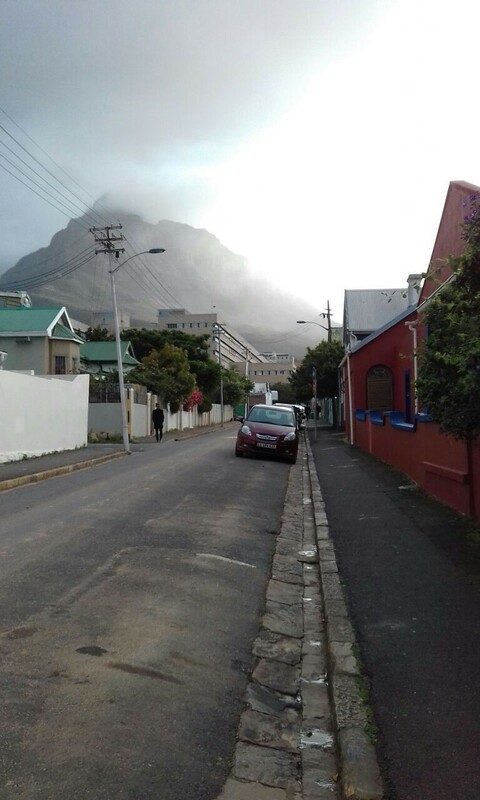 I’ve been at my internship placement at the Gender, Health and Justice Research Unit at the University of Cape Town for nearly two months now, and it’s been an interesting couple of months. I have not been at the office very much as the university has become the site of student protests since shortly after I arrived. I’ve been working from home a lot, and I’ve had time to explore a bit of Cape Town as well. The combination of these things inspired me to write this blog post. Most people have heard of equality of opportunity – the idea that everyone should be given the same opportunities to advance in society, without facing discrimination. It’s usually associated with selection processes like acceptance to universities or getting jobs – a level playing field to start from. Starting from a level playing field when it comes to opportunities, or having laws to prohibit discrimination are a great starting point, but some of the things that I’ve experienced since starting my internship have reminded me of the difference between equality of opportunity and what could be called equality of access. For me, equality of access includes all of the things that marginalized people need to be able to take advantage of those equal opportunities. Two examples from my time so far in Cape Town come to mind. As I mentioned above, the University of Cape Town (UCT) was closed for most of October due to student protests. Transportation to campus has also been disrupted. After a few weeks, the university decided to go ahead with the semester, despite continuing protests, with classes in some faculties being given online and with exams starting November 7th. Even with the university officially open, the libraries have been closed by protest activity, limiting access to class materials for students who do not have computer or internet access at home. Thus, equality of access becomes a problem, but not an insurmountable one. In this case, UCT has negotiated with three of the major telecom providers for free access to university webpages for students, and students have taken to twitter using #IllStudyWithYou to share resources. The second example comes from my explorations of Cape Town in my free time. I love museums, but it’s hard sometimes to enjoy them to the fullest because stairs are a bit of a problem for me, and museums often have a lot of them, or big line-ups for elevators. Again, this can be a bit of an access problem, not just for people with disabilities but also for the elderly or families with small children. So far, I’ve been to the Iziko South African Museum and the Two Oceans Aquarium. To my surprise, both had ramps to all of the floors instead of only having stairs and elevators – an excellent step towards equality of access, especially since they were for everyone so groups didn’t have to split up! I could enjoy everything these museums had to offer, which was a lot. All in all, equality should mean so much more than the absence of discrimination. So let’s start talking about equal access too. Sure, it takes work, but society is all the better for it. Taryn Husband is working as an Intern in sexual and gender-based violence and criminal justice with Gender, Health and Justice Research Unit, University of Cape Town in South Africa.